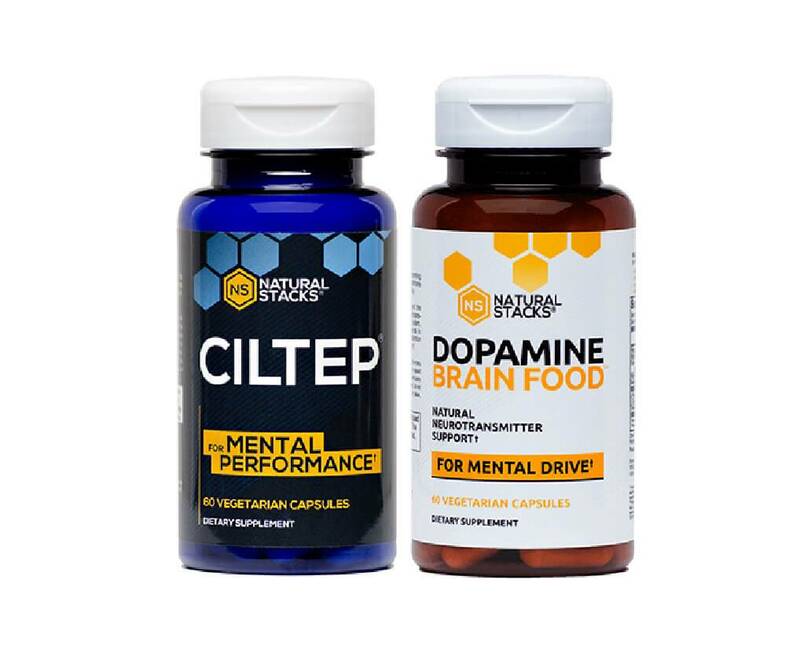 Natural Stacks discount pack with CILTEP and Dopamine Brain Food, a combination created to improve productivity. 1 jar with 60 capsules per supplement. Discounted at 25% versus the individual products. Do you also have more tasks than time? Razor-sharp focus with which you apply your full capacity to a single task. A crystal-clear mind helping you to cut through complex matter with ease. Reliable motivation, turning the pile of work ahead of you from an obstacle into a challenge. Getting satisfaction from each task as a measure of your progress and for encouragement to continue. When these factors come together, you can get unbelievable amounts of work done in a short period of time. One jar of Natural Stacks CILTEP, containing 60 capsules. One jar of Natural Stacks Dopamine Brain Food, containing 60 capsules. Use the links in the product names to quickly navigate to the complete descriptions, ingredients lists and use instructions. The name "CILTEP" is the abbreviation of Chemically Induced Long-Term Potentiation. Long-term potentiation is a temporary change in brain cells that contributes to learning ability and concentration. With this, you can start your day with a 'tunnel vision-like focus', aimed at the most critical tasks ahead of you or immerse yourself in new information, confident that you'll retain much of it. CILTEP supports at least two of the four productivity processes mentioned earlier. Dopamine Brain Food contains four vitamins that have important roles in the nerve cell function. This includes the production of neurotransmitters, like dopamine. Natural Stacks Dopamine Brain Food covers the last two aspects of productivity. 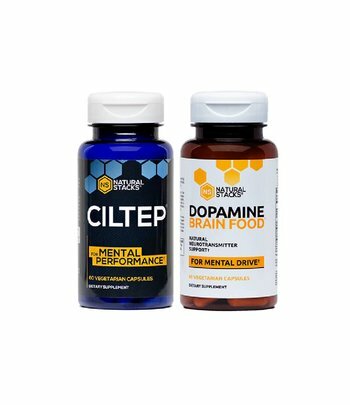 Impressed users call the combination of CILTEP and Dopamine Brain Food 'the ultimate productivity stack'. Try this combination for yourself at a 25% discount on the package price compare to the individual products.